Barnsley head coach Daniel Stendel is still on the lookout for new recruits amid speculation linking Aston Villa winger Callum O’Hare with a move to Oakwell. O'Hare is reportedly keen to leave Villa Park on loan before the August 31 deadline, but Stendel remained tight-lipped as to whether the 20-year-old was a target. “We are looking but it’s not too simple,” said Stendel. “I think we have a good team and we have good players. Injuries to wingers Lloyd Isgrove and Ryan Hedges have left Stendel short of options. Yet he has been impressed with the performances of Brad Potts and Mamadou Thiam on the flanks. “We haven’t much of a chance to switch or change the position of the wingers,” Stendel said. “Brad Potts had a good performance in the last games and is a good player. He can play in the centre or the wing which is a good option for us. “Mamadou Thiam has showed why the club signed him last season. I’m very satisfied at the moment with him. He can have more good games. He scored two in the first games and he can improve in the season, step by step. “I think all the players will stay here. We have a good team. We need all our players. It’s a long season with 46 games in the competition. 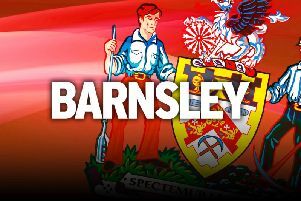 Tuesday's trip to Rochdale, who are managed by former Tykes boss Keith Hill, is the first of two back-to-back away games for Barnsley. Stendel is expecting a difficult match at Spotland, adding: “It’s a team what play all of the time with short passes and not too much long ball.